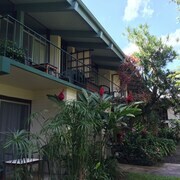 Very nice hotel, perfect location and friendly staff! I love the new decor in the room. It really brings a more modern look to an old hotel. The bed head boards need to be changed. But at least the bedding was very white and smelled amazingly clean. Really liked the quiet area. This is a unique experience that I enjoyed for a week long stay. Really appreciated the light breakfast and coffee every morning. very nice setting out of the way but close to things. We stayed at the harmony house. Harmony House needs a better coffee maker. It heats one cup at a time and early risers each have to wait 10 minutes per cup. Whether you're after cheap and chic accommodation, budget flights or affordable things to do in Hilo, we've got you covered! It's time to discover a thing or two about this fascinating vacation destination. It's an area of Hawaii Island that some 43,000 people reside in. If you're nearby, you'll have to swing by the Hilo Art Museum. It's totally free to enter and boasts some fascinating displays. 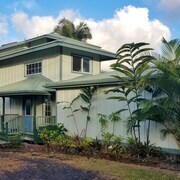 The East Hawaii Cultural Center and the Wailoa Center are all within easy reach and renowned for hosting cheap or free arts and cultural events. Look over the upcoming schedules to see if anything interests you. Add some playtime to your stay at Wailoa River State Recreation Area. This boredom-breaking site is a fabulous way to have some fun in the sun. Sometimes, all it takes to revive your mind and body is some time out by the water. Fill your lungs with fresh air, lap up the sun and appreciate the beauty of nature at Rainbow Falls, Peʻepeʻe Falls & Boiling Pots and Mokuola. 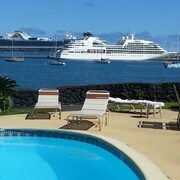 The East Hawaii Cultural Center, Hilo Farmers Market and the Naha Stone don't charge anything to visit. Map out a route and find out if you've got time to drop by all of them. Listen up, at CheapTickets cheap doesn't have to mean nasty. Even though we're strongly budget focused, we guarantee that we won't make sacrifices on quality. Imagine all the cool things you could do with an additional $481. When you combine your airfare and hotel bookings, that's exactly how much you could save! And with access to 500 airline partners and around 500,000 properties across the world, you won't be lacking in choice. What about this for putting your mind at rest? If you discover your package for a cheaper rate within 48 hours, we'll meet that price and reimburse the difference. That's what we call our Price Guarantee. How's this for a nice perk? Our simple rewards program not only saves you dollars on your next qualifying CheapTickets hotel stay, it also works together with our other promotions. The only thing you have to do is book a flight! It's super easy to sign up for free or log in and join CheapCash. Once you're up and running there'll be no deterring you! 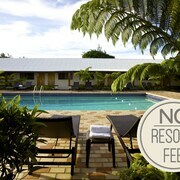 You'll accrue savings on all eligible bookings, not to mention the bonus offers and perks that will come your way. Hey there penny-pinchers, keen to find the most economical way of getting about Hilo? Why not consider a rental car? Filling up your gas tank from time to time has to be kinder to your budget than splashing out on expensive taxis! Got your flight booked? Sort out a car at the beginning of the trip at Hilo International Airport. Make your way to Dollar Rent A Car and Avis. 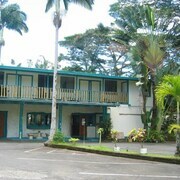 To be found 2 miles from the center of city at 875 Kanoelehua Ave is Enterprise. Head on over and they'll get you cruising around in no time! 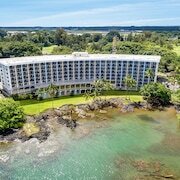 With no more than 13 hotels in Hilo, you ought to book soon! CheapTickets has everything you'll need to lock in a nice cheap room. 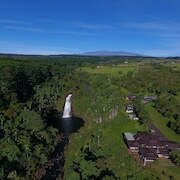 Our top picks for your island adventure are The Inn at Kulaniapia Falls and Island Goode's - Luxury Adults Only Accommodation. Be sure to consider the amenities, services and facilities before picking a favorite.